In the 35 years since Vascutek Ltd was founded, innovation has always been at the heart of our business. 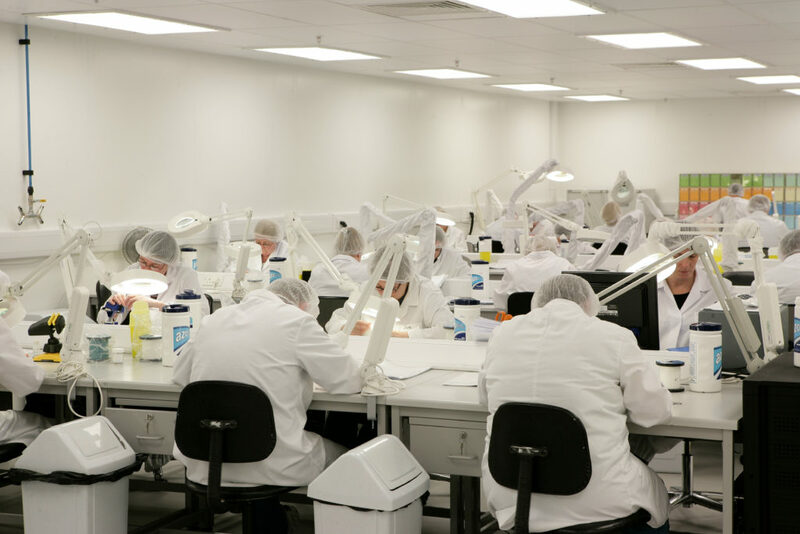 Without innovation across many different functions, we would not be a world leader in medical device technology. One very important part of Vascutek’s global success is our collaboration with cardiovascular surgeons in many different countries to develop leading edge medical implants that are often designed by key opinion leaders to make surgery simpler to perform and safer for patients. We are recognised for providing individually designed devices for patients, ‘special’ devices to meet specific surgeon’s preference and, finally, the most challenging category, wholly new devices to address and enhance new surgical techniques, processes or procedures. Within Scotland we work very closely with a number of clinicians on a variety of projects, including Vascutek’s Patient’s Day. This is an annual event when up to 4 patients and their respective clinicians come to our facility to meet employees and talk about life before, during and after surgery. Our most recent innovation, Thoraflex™ Hybrid, is a unique surgical stent graft to treat patients with life-threatening thoracic aortic disease. As a result of advanced age, a history of smoking or just the bad luck of genetic inheritance, the aorta can become diseased with the vessel walls weakening and an aneurysm developing. An additional complication is an aortic dissection – should either of these conditions lead to a catastrophic rupture then only 1 in 5 patients will survive. 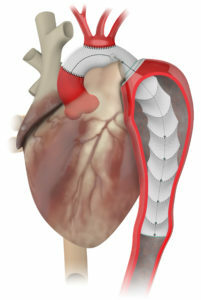 In 1983, a surgical operation known as the Elephant Trunk Technique was developed to replace the damaged thoracic aorta with a textile polyester tube. The downside, however, is that this technique requires two operations with high mortality rates associated with each operation. Vascutek identified a significant clinical need for a device that would combine these two major procedures into one. 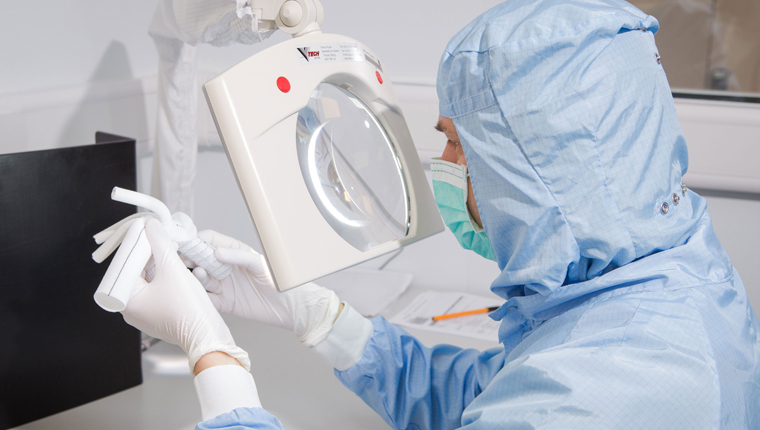 Our Research & Development team engaged with surgeons over a period of three years to establish the ideal device configuration and trial early designs in controlled studies. This unique device enables surgeons to help previously untreatable patients, not only saving their lives but significantly improving surgical results and eliminating the second stage operation. Also, important to note, this device substantially reduces the burden on hospital resources. To date, Thoraflex™ Hybrid has helped save the lives of over 2,500 patients in 35 countries worldwide and is widely accepted as the gold standard of complex aortic treatment. Its surgical impact was recognised last year when Vascutek received its 8th Queen’s Award, on this occasion for Innovation relating to Thoraflex™ Hybrid. This was a tremendous achievement for the company especially as very few companies in Scotland received a Queen’s Award in this category. In 2016, we were also delighted to receive the prestigious Scottish Enterprise Life Sciences Award for Export and International Trade acknowledging the global success of our company in more than 90 countries worldwide and helping to enhance the lives of over 119,000 patients over a 12 month period. Success in international markets, in particular, the USA is important for our future growth and we are very excited about the clinical trial of this innovative device that is currently underway with leading cardiothoracic surgeons in the USA’s most prestigious institutions. The potential for increased market share is significant as the USA represents one-third of the world’s market for this type of surgery. “Scotland has a thriving, internationally renowned life sciences sector in areas including innovation, investment, community engagement and collaboration. Our vision is, ‘It’s all about the patient!’ and the company’s aim is to continue to grow and develop as part of a sustainable, globally competitive life sciences sector in Scotland.” Paul Holbrook, President and CEO, Vascutek Ltd.